Most laptops that you purchase today have a webcam built in. 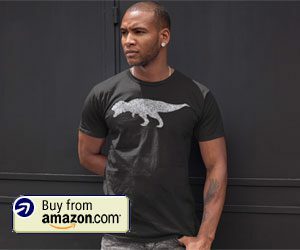 The webcam has become a standard component for many computers, and many of the apps that you use everyday likely have some way that they can utilize that camera. But you might be concerned that a bad person could gain access to your webcam and turn it on whenever they want. One way to prevent this is to keep a close eye on the camera permissions for your applications. Our tutorial below will show you where to find these permissions so that you can customize them, and even block any app from trying to use your camera hardware at all. 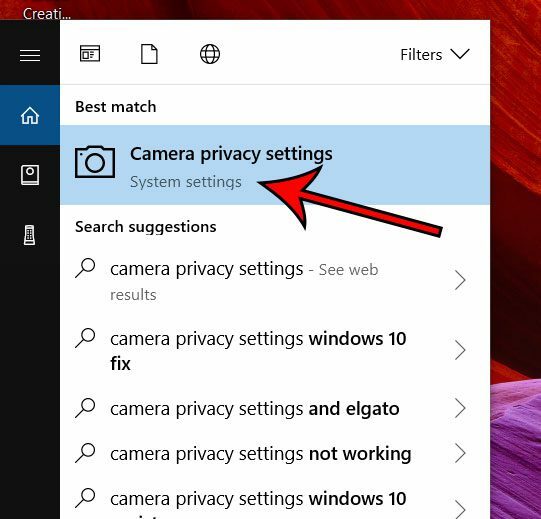 The steps in this article are going to show you where to find the menu that contains the camera permissions for apps on your computer. 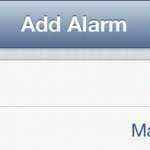 Here you will be able to choose which apps have permission to use your camera. 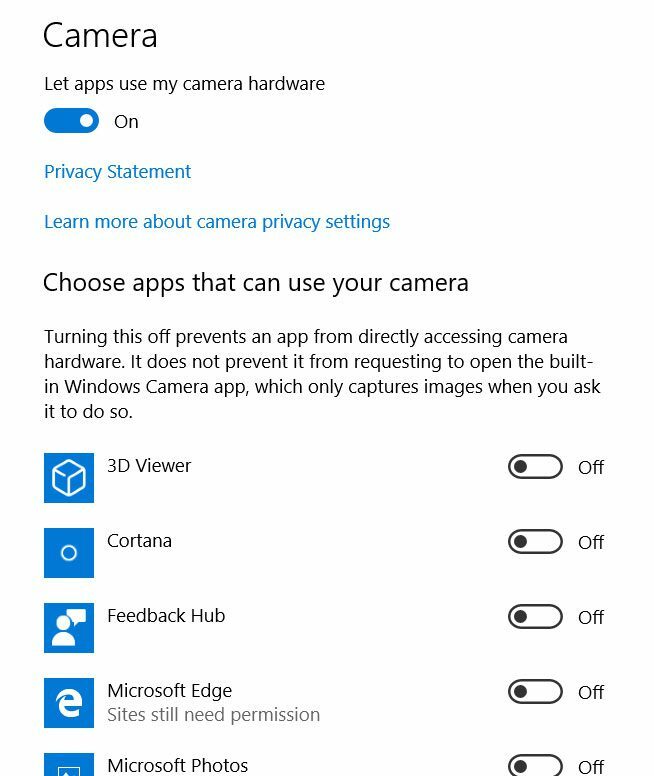 Note that even if the permission is off, the app can still request to use the Windows Camera app if an activity occurs in the program that requires the camera. Step 1: Type “camera privacy settings” into the search field at the bottom-left corner of the screen. 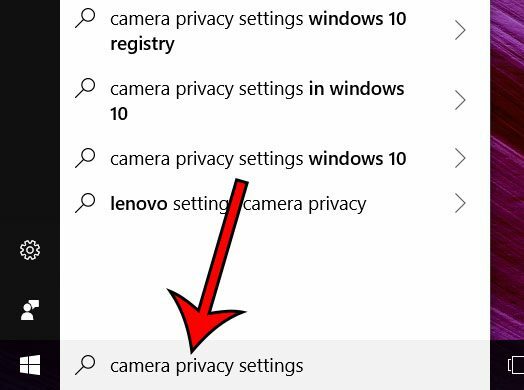 Step 2: Choose the Camera privacy settings option at the top of the list of search results. Step 3: Click the button to the right of each app for which you would like to grant permissions. Note that there is also an option at the top of the screen where you can simply elect to prevent any apps from trying to use your camera hardware. 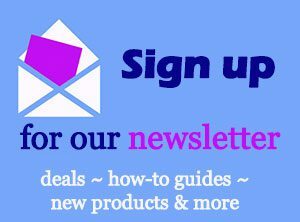 Looking for an easier way to launch the programs that you use everyday? Customize the Start screen with your most used apps so that they are visible at the top of the menu whenever you click the Start button.